The most successful business turnarounds recognize past weaknesses and build them into operational strengths. The new Sonoma West Medical Center does just this. Conventional wisdom says that a small local hospital cannot survive in an age of institutionalized health care, as economic “efficiencies” are sought through the creation of mega-hospitals, by mega-insurance companies like Kaiser and Sutter. The past majority of the Palm Drive Hospital District Board’s elected representatives believed that that the proximity of a major 155,000-person city like Santa Rosa, with three such mega-hospital corporations, presented insurmountable competition by drawing patients from the small hospital’s West County community. Before new Board members were voted in during a hotly contested election last November, the past Board believed that there could be no solution to Palm Drive’s economic challenges. Despite being rated by Consumer Reports as the number one safest hospital for health outcomes out of 350 hospitals in California, Palm Drive was closed by a 4 to 1 vote, effective April 29, 2014, for the first time since its opening 75 years earlier. With the support of a newly-elected District Board majority, the new Sonoma West Medical Center (“SWMC”) turns conventional wisdom on its head by transforming the liability of proximity to Santa Rosa and the Highway 101 corridor into an asset. The new hospital’s strategic plan is to attract business from across the North Bay by providing exemplary patient service, competitively distinctive specialty institutes, and superior outcomes. A “No-wait” Emergency Roomwill attract patients from the nearby population hubs of Santa Rosa and Rohnert Park. SWMC’s patient-centered approachis what human beings want from our health care providers. We are people, not numbers, and want to be treated adeptly—and with compassion. Top Tier Specialty Institutes, combined with proactive outreach, will draw patients from all over Northern California and beyond. SWMC’s strong fiscal managementand oversight will make it better equipped for survival than its predecessor. Heal Localis a winning recipe that will attract loyal patients and philanthropic support. My confidence in the future of the SWMC is rooted in 30 years of experience as an investigative financial journalist for national magazines like Forbes. Over the years, I have reported on why some businesses falter, while others thrive. In the interest of transparency: About 16 months ago, I began investigating the closing of Palm Drive, and the early effort to reopen it. I have also worked, with hundreds of others in West Sonoma County, to advocate for the reopening of the hospital, and its life-saving, award-winning emergency room. I authored a series of investigative articles and columns in Wacco BB.net detailing the questionable circumstances that led to the hospital’s closing. I also wrote this recent article titled, What’s New and Exciting About The Sonoma West Medical Center. In addition, Progressive Source Communications, my public interest communications company, was also paid to create a video, and presentation materials, for the Palm Drive Foundation in June and July of 2014. This article explores the business strategies likely to make the SWMC successful. 1) Who Wouldn’t Prefer a No-Wait ER? One way the SWMC plans to compete with Santa Rosa’s larger, corporate-affiliated hospitals is by offering the area’s first ultra-efficient “no-wait” emergency room. Emergency rooms remain about the only care provider choice that Americans still have, regardless of insurer. This is because by law every insurer is required to pay for a nearby ER chosen by the patient in an emergency. What matters most to people seeking emergency care is not simply the time it takes to drive to the ER, but the overall time it takes to get there and be seen, assessed and treated. So with hundreds of thousands of people living just a 20 minute drive away, the prospect of being seen immediately, even with a few minutes extra driving time, can attract patients to the SWMC from a far larger population base. In this way, the SWMC will transform a perceived weakness—proximity to a large city—into a strength. Meanwhile, the opposite of the “too many hospital beds” trend feared by Palm Drive’s past management has been turned on its head. The new Sutter Hospital in Santa Rosa contains about 30 fewer acute care beds than the downtown hospital it replaced. With the closing of Palm Drive, Santa Rosa’s three large hospital emergency rooms have regularly been swamped with patients. This has been exacerbated by reported cutbacks in staffing levels at Memorial Hospital. In addition, while there has been a decline in the number of hospital beds, the County’s population continues to get older, adding more people to Medicare, and increasing the demand for emergency health care and surgeries. There is ample evidence that Sonoma County desperately needs the SWMC’s emergency room beds. The County’s emergency room wait times before entering triage, already above state and national averages, rose to well over 40 minutes in 2014. Wait time for treatment often takes five to ten times longer. ER patients at Santa Rosa hospitals have been regularly diverted to other regional hospitals, while some at Memorial Hospital have been forced to wait in ambulances until space in the ER frees up. By publicizing its state of the art “no-wait” emergency room, the new 25-bed Sonoma West Medical Center will establish a reputation for low wait times that will likely make it the hospital of choice in the region. Ray Hino, the new hospital’s highly regarded, warm-natured CEO, says that “Our goal at the SWMC is to perfect the patient-centric experience.” This includes a no-wait emergency room that gets a patient from the door to a bed either immediately, or in less than five minutes, a fraction of the average time of other area hospitals. The SWMC’s service model applies to every area of operations, including gourmet, organic and nutritious meals, ordered anytime, for a patient and even for a visiting guest. With good wine, if approved by a doctor. Patient-centric even applies to one of the most frustrating aspects of a hospital visit: insurance billing. From the moment a person seeks treatment, the SWMC will assign to them an informed personal “patient navigator,” to help them from the first to the final bill. This approach of humanistic treatment goes against the institutional care model of large city hospitals. In an era in which health care is driven to consolidation for greater efficiencies, many consumers feel that these “efficiencies” diminish care, and reduce human beings to depersonalized numbers. At SWMC the smaller size and commitment to personalized care will offer an attractive alternative. “I believe the new hospital can be successful,” says John Moise, a hospital supporter and former executive with California’s Health and Human Services Agency for ten years. “The new model includes private rooms, organic meals from a menu, an expanded number of excellent physicians and specialties, a more efficient Emergency Room, state of the art telemedicine and stroke care coupled with a commitment to doing what it takes to become the ‘hospital of choice’ makes the hospital much more desirable than before. It is no accident that the compassionate treatment hallmark of Palm Drive Hospital resulted in the safest health outcomes per capita in the entire state, and sixth safest of more than 2,600 hospitals in the nation. The SWMC intends to sustain the personal care that won the safety record rated by Consumer Reports. The new hospital will bring back Palm Drive’s celebrated “pink ladies,” who have been sidelined for the last 15 months. They are friendly, retired local women who volunteer to visit with and assist hospital patients and their families in a personal and connected way. Palm Drive’s caring approach was embodied by its nurses (who discussed their desire to see the hospital reopened in this video), and its doctors. 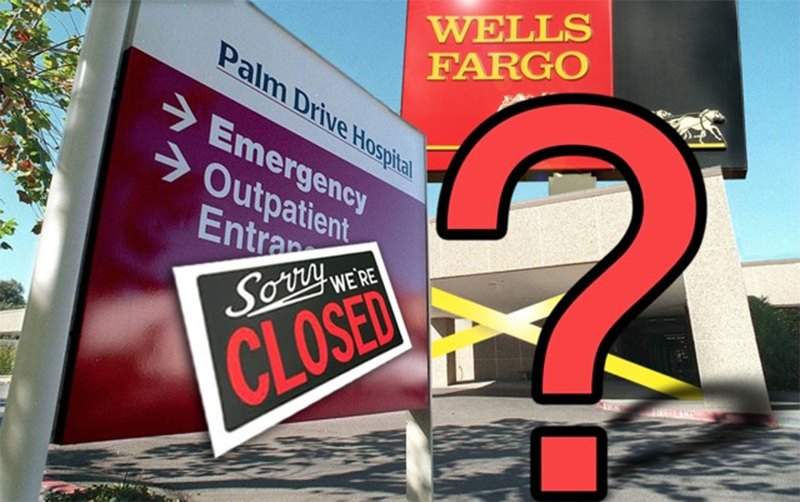 Susan Libby, a former Palm Drive Nurse, recalled, “The type of person who worked there was a certain type of person – a person who wants to do good for the community and do good for the patients.” Many of the doctors, nurses and therapists who staffed Palm Drive have been rehired by the SWMC. They speak with delight of the opportunity to practice the kind of humanistic care that attracted them to the healing profession in the first place. In the health care business, patients vote with their feet whenever possible, and their wallets follow. As a standalone business, a local hospital’s emergency room often loses money, because of requirements for supporting departments (such as pharmacy, radiology, and intensive care) as well as a multitude of regulatory staffing and compliance measures. Additional service offerings that operate profitably add revenue to the overall hospital operations, and share the cost of these required departments. 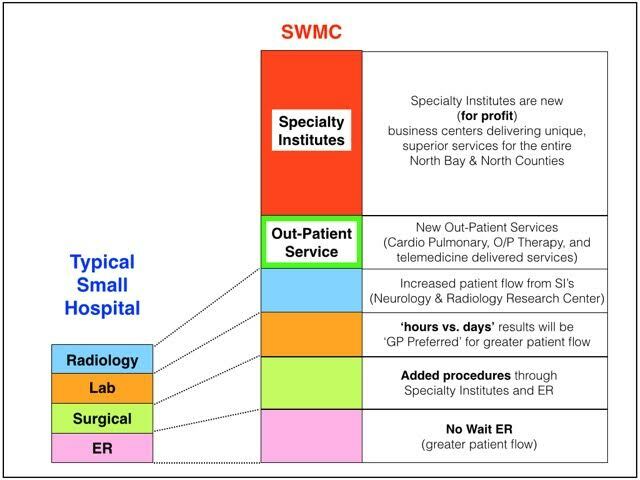 The SWMC is extending its hospital of choice approach to offer five new state-of-the-art services, which it calls, “Specialty Institutes.” By positioning itself as a doctor-led hospital (as opposed to corporate-led) the SWMC has managed to attract some of the most accomplished doctors in Northern California to head the Institutes. Each will offer expert surgeries, or innovative care, to patients whose insurance, or funds permit them the freedom to choose where they go for treatment. The Institutes are designed to be profitable, allowing them to pay into the administrative and upkeep cost of the SWMC. Some of them, like renowned Dr. Allan Bernstein’s North Bay Neuroscience Institute for headaches, strokes and other ailments, will run FDA-funded clinical trials out of the SWMC. The SWMC will be spending hundreds of thousands of dollars during the coming year to market its new services, but already, the reputation of its top tier doctors seems to be setting the new hospital on a path to success. Weeks before elective surgeries can begin, I coincidentally met two people in the process of scheduling their hip replacement surgeries the new Bollinger Orthopedic Specialty Institute. The Institute is run by Dr. Mike Bollinger, one of most highly regarded specialists in Northern California, who speaks about his work in a video here. Dr. Bollinger has a track record of advanced joint replacement surgeries that will place the SWMC at the top of the list for delivering innovative, minimally invasive arthroscopic procedures. The patients I met were drawn to SWMC by the reputation of Bollinger’s practice, speedy recoveries and a 95% success rate for hip replacements.Richard Stursberg, another patient who plans to have a hip joint replaced there in late September, will come all the way from Toronto, Canada to have the surgery, and enjoy his recovery at a friend’s place in beautiful Sonoma County. Stursberg attended a patient meeting at the new hospital late last week, and then requested a tour of the new SWMC. With no scheduled tours that weekend, an attending medical professional offered to provide him with a personal guided tour, on the spot. His impression? From the very first beginning of his long campaign to reopen a hospital with an emergency room for West County, SWMC Board Chair and philanthropist Dan Smith has said that as an oversight entity, any five person board of elected political representatives, such as the Palm Drive District Board (that Smith had served on in past years), is structurally incapable of navigating through the competitive waters of the hospital industry. One of the main reasons that small elected District Boards inherently fail to be good fiscal managers, Smith argues, is that hospital finances are very complex, and political Boards tend to be overly trusting and supportive of their CEOs, instead of holding them responsible for the institution’s financial performance. Smith has instead championed a bottom-line focused governance system modeled after the successful relaunch of Marin General Hospital, now governed by a 13-person Board of Directors comprised of health experts and business leaders. Meaning, the buck—and unsustainable losses—will stop there. Because of the need to ramp up and get Medicare billing started, the first year of operations are expected to run at a small loss, which will be made up through philanthropic gifts. The hospital will use a smaller portion of a dedicated parcel tax passed in 2005 to support its emergency room and related hospital services than Palm Drive did. Unlike Palm Drive Hospital, the SWMC will have a significant marketing and advertising budget—and distinctive top-notch services to market. The new hospital will also have a free, state of the art Electronic Medical Records system, tied to a cloud-based easier-to-use billing system. Philanthropist Dan Smith, who runs a company that makes the software, is donating both the system, and support personnel for training and implementation. This represents a huge cost savings, given that during the past few years, Palm Drive spent about $3.5 million on new medical software and training that failed to work properly, resulting in a notoriously unreliable billing system. “Record keeping systems are still rudimentary, and the biggest problem is that the systems don’t talk to one another: in many cases, the electronic record your doctor uses cannot be read by the hospital or by another doctor trying to coordinate treatment. Although, like all hospital software, there will be a learning curve and migration issues for past records and doctors’ offices, Smith’s free EMR system will contribute to a better bottom line for the SWMC. Additional cost savings will come from the reduction in the percentage of total revenue that Palm Drive spent on labor and supplies, as well as increased reimbursement rates. With the new patient-centered strategies, No-Wait ER, and Specialty Institutes described earlier, the SWMC will attract many new patients from a wider geographic area. It is rare that a philanthropic effort can claim, with certainty, that its success will literally save lives in the local community—and that one of those lives might be yours, a loved one’s, or a neighbor’s. This effort makes this claim. And it does so convincingly. Since Palm Drive and its award winning emergency room stroke center closed, I know of two people, one of them a dear friend, who have died as a direct result. Privacy concerns have prevented me, and others, from reporting their names, but in both cases, the surviving family members expressed their belief that their loved ones would be alive today had Palm Drive’s emergency room remained open. In this video, which I produced last summer, a few area residents express their stories, and appreciation, about how the hospital saved their lives in the past. As described in this recent profile, Joan Marler and Dan Smith, the philanthropic couple who have thus far been the biggest donors to the new hospital, have both committed themselves to the SWMC because they believe that maintaining an emergency room in West County can be a matter of life and death to their community. The importance of restoring a financially viable hospital, with a life saving emergency room, inspired the largest local grassroots political movement that I have ever witnessed. Thousands of families put “Open Our Hospital” signs in front of their homes. Hundreds of people mobilized in support, talking to their neighbors, family members, and friends about the election. On November 4, tens of thousands voted, against the advice of every elected representative in Sebastopol, to elect a new District Board majority committed to working with the SWMC to reopen. Once the Sonoma West Medical Center has opened, the vital importance of the new hospital’s success will translate into philanthropic gifts and patient support. Given its independence, the quality of its humanistic-focused services, and the planned continuation of Palm Drive’s safety record, it will be natural for locals to embrace the SWMC. Go Local will translate into Heal Local, and Give Local. After all, the life we save may be our own. 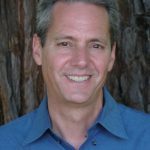 Thanks, Jonathan, for writing such a comprehensive report on why Sonoma West Medical Center will thrive. I am grateful for the advocacy that led to this revised and improved healthcare center. I live on Hwy 12 in Sebastopol, and every day and night, I hear the sirens of ambulances racing to help people at Burbank Heights and beyond. After the hospital closed, I feared for their well-being, knowing what a long journey they had for emergency care. I’ll still say a prayer each time I hear the sirens, but once SWMC opens, we’ll all rest a little easier.